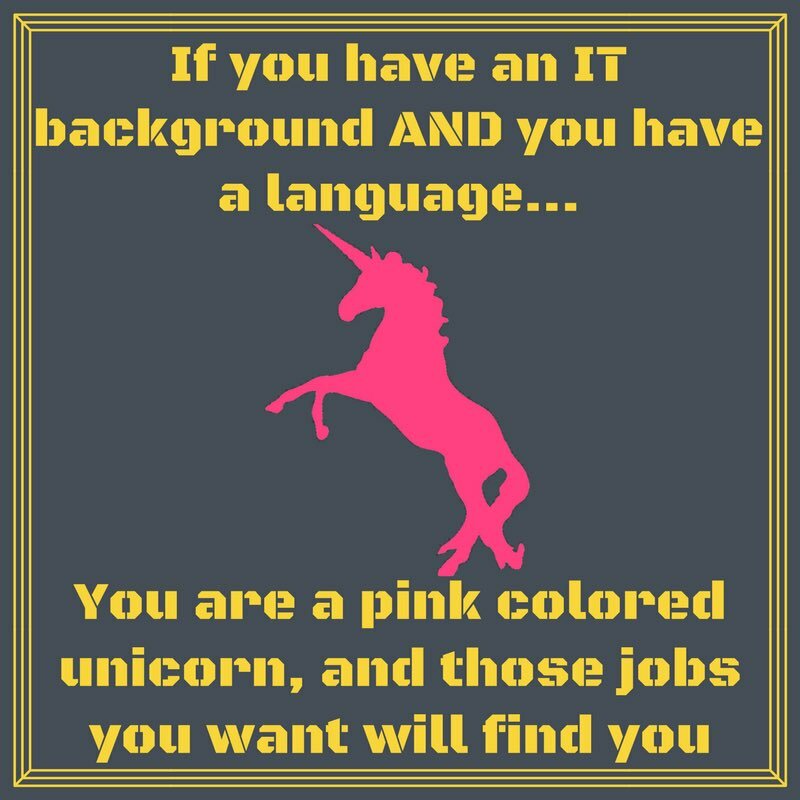 Every month, we conduct Podcasts with language students, professionals, and job recruiters to discuss how you can better your language skills and what you need to know when applying for language-based jobs. 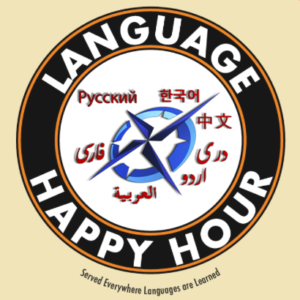 ***Currently our Language Happy Hour podcasts are paused because our co-founder Drew is serving in the Peace Corps, we look forward to restarting the Podcasts soon! 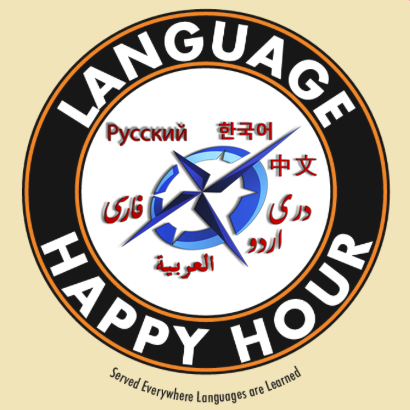 Now you can take part in the Language Happy Hour regarldess whether or not you have an iTunes compatible device! We're constantly researching other podcasting platforms to ensure everyone can join in on the fun! In this week's episode, Garrett & Alex sat down with Jim Bellas, Kate Marden and Molly Sampson from Diplomatic Language Services (DLS). This week, we sat down with DLS in Arlington, VA. We discussed:the mission and history of DLS (5:15 ) language curriculum and teaching jobs (8:15), Ciiculum Development (25:15) resume Dos and Donts ( 38:00) , obtaining language ILR testing and language refresher training (45:00) with DLS. In this week's episode, Garrett & Drew sat down with Kiersten Rossetto Nassar, Director of Community Relations, and Autumn Orme, Director of Communications and Marketing, at Lutheran Social Services of the National Capital Area. We discussed LSSNCA's mission and background, their work in refugee resettlement, and what they look for in volunteers. Recording at University of Maryland, Garrett & Drew joined Lianne and Jay, Program Coordinators at the University of Maryland’s Arabic and Persian Flagship Programs, to discuss their programs, the Summer Language Institute, and how their students learn critical languages. 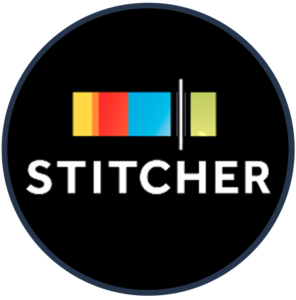 This week, Garrett & Drew sat down with Mike G., National Volunteer Coordinator with No One Left Behind, a nonprofit that helps Afghan and Iraqi combat interpreters with Special Immigrant Visas (SIVs) resettle safely in the United States. Together with Alex Sorin, co-founder of Foreigncy, we discussed No One Left Behind's mission and how people with language skills can give back and help others. If you’re going abroad, you’ll want to listen to this episode. 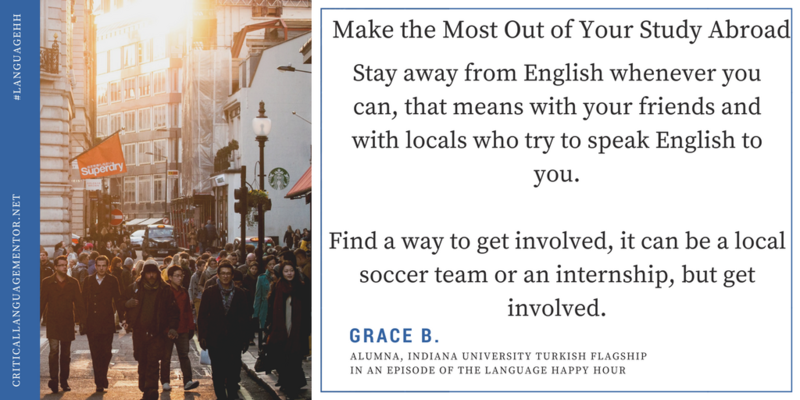 This week, Grace, an alumna of Indiana University’s Turkish Flagship Program, sat down with Drew to discuss how to make the most of your study abroad experience. She discusses her experiences, including the benefits of taking classes in an immersion environment. Ever wonder what you have to do to get a job with a government contractor? 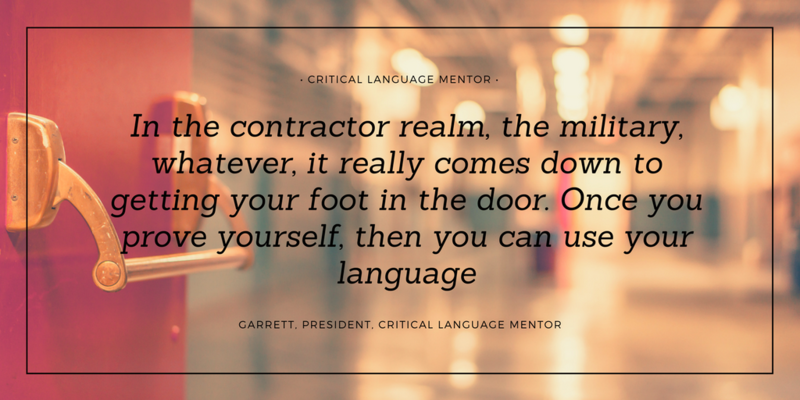 This week, Garrett and Drew discuss the basics of contracting, focusing on language tests, basic requirements, and uncommon knowledge from within the contracting world. 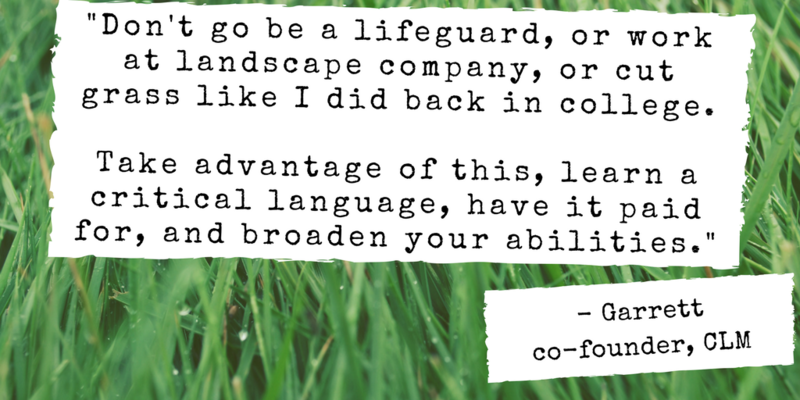 We sat down with Alex Sorin, CEO and co-founder of Foreigncy, to discuss language tips, share stories, and highlight potential pitfalls you may come across when learning a new language. Disclaimer: The views expressed in this podcast are solely those of the interviewees, and do not necessarily represent the views of Critical Language Mentor. 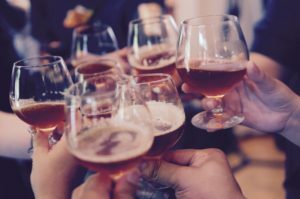 We respect the right of (and encourage) the interviewee to speak freely, but request that they receive permission from their employer before speaking on business-related issues.